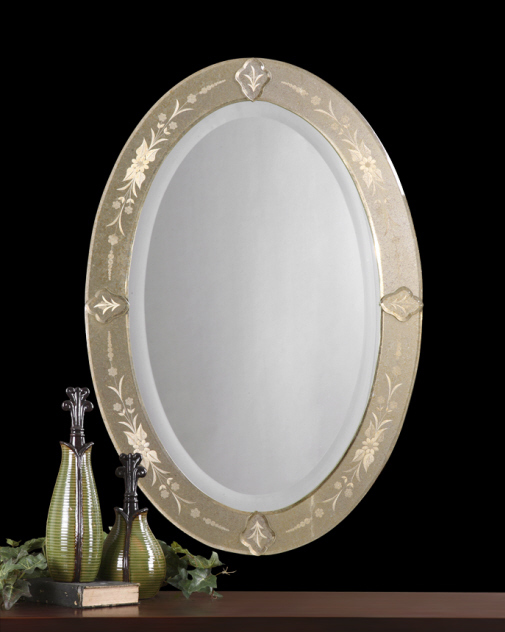 This frameless mirror features an etched, antiqued, beveled mirror frame. Oval, center mirror has a generous 1 1/4" bevel. Dimensions: 22"W X 32"H.